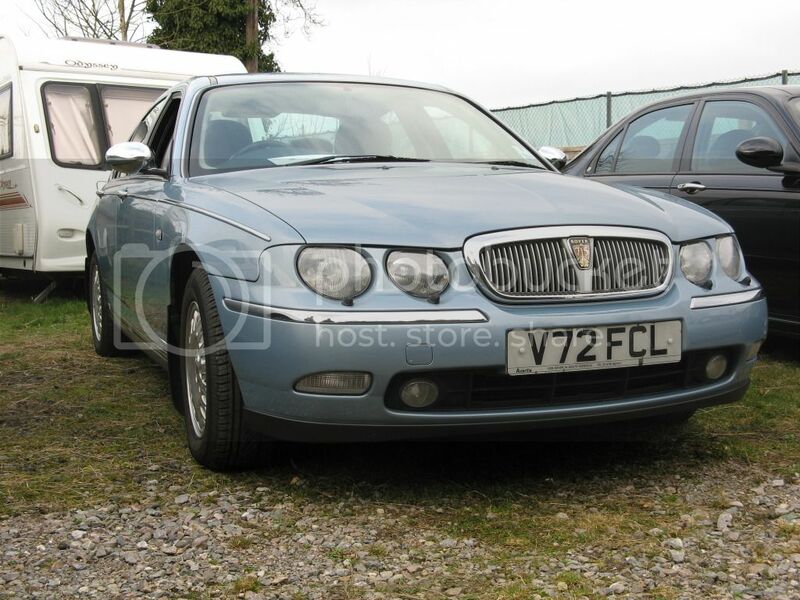 It gives us great pleasure to announce that for the third year running The Rover 75 & MG ZT Owners Club will be attending The Footman James NEC Classic Motor Show at The NEC in Birmingham. This three day event runs from Friday 16th November to Sunday 18th, and for anyone who hasn't been before it's quite something. With over 10 halls full of classic vehicles to look at, and hundreds of car clubs displaying some excellent examples it really is worth a visit. 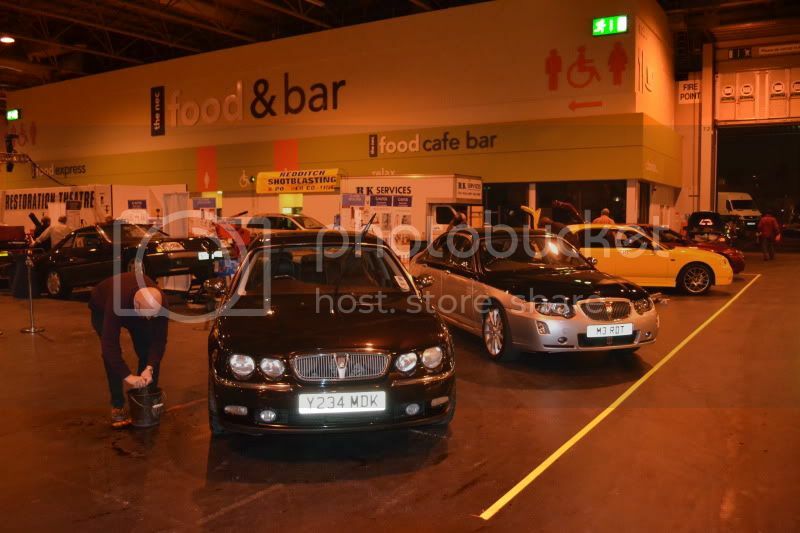 There are also a great many trade stands offering all manner of car and bike related items. This year the Owners Club can be found in Hall 7 next to the Wheeler Dealers Live stage, and adjacent to the refreshments and cafe area. 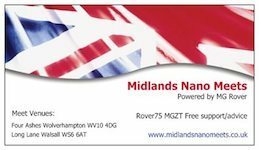 We will be exhibiting three members cars, a Rover 75 and two MG ZTs, and will again have items available from the club shop for sale, a live forum connection for anyone wishing to browse or even sign up and the EPC (Electronic Parts Catalogue) will be available if anyone wishes to look up a part number. We'd be delighted to meet anyone from the club who happens to be visiting the show, so please feel free to pop over for a chat. So to the cars we will have on display then: Firstly SD1too has kindly offered us his Mark 1 Rover 75 Connoisseur 2.5 V6 Automatic dealer launch vehicle, finished in refined Wedgwood Blue, and complimented with a Neptune Blue leather personal line interior. 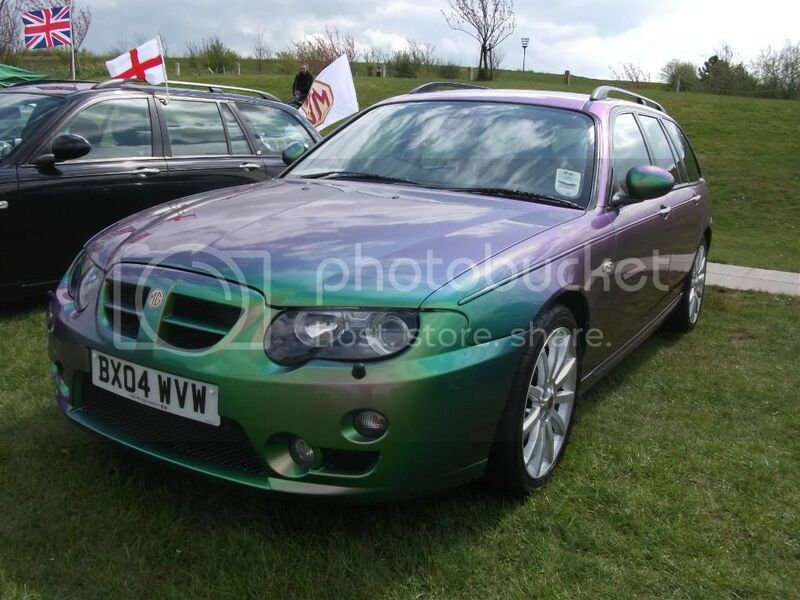 This car is in immaculate condition and even sports an original set of MG Rover OEM door finishers. To illustrate the MG Marque, we have two examples on offer, The Flying Banana will be present with his stunning Monogram Mirage Supertallic pre-facelift ZT 260 V8 saloon which will help showcase the two V8 variants nicely. 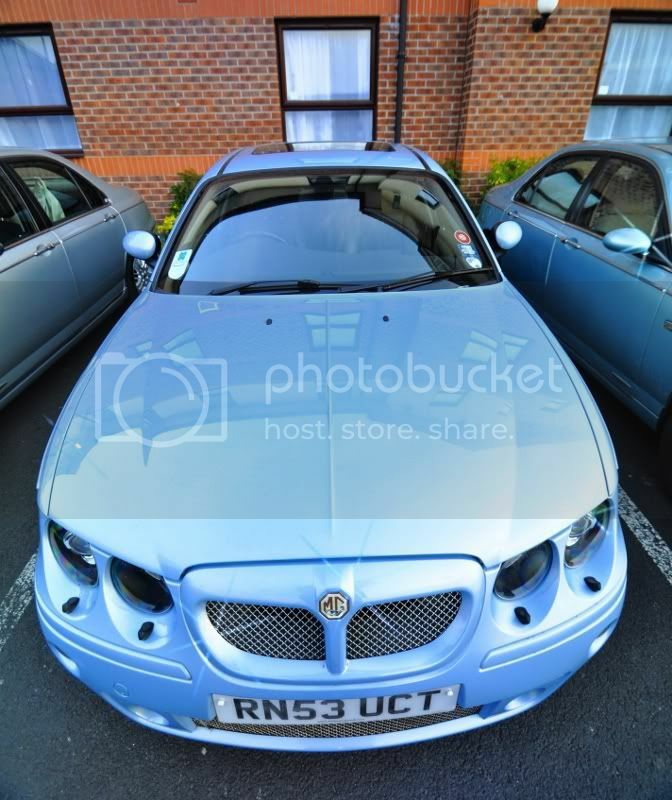 Finally, Juzza0 will be providing his extremely eye catching Facelift MG ZT-T CDTi in Monogram Shot Silk with Monogram Cream leather seats and OEM built in Flip down DVD player in the centre of the roof lining. The car also has a Shot Silk painted dash, and widescreen highline sat nav fitted. 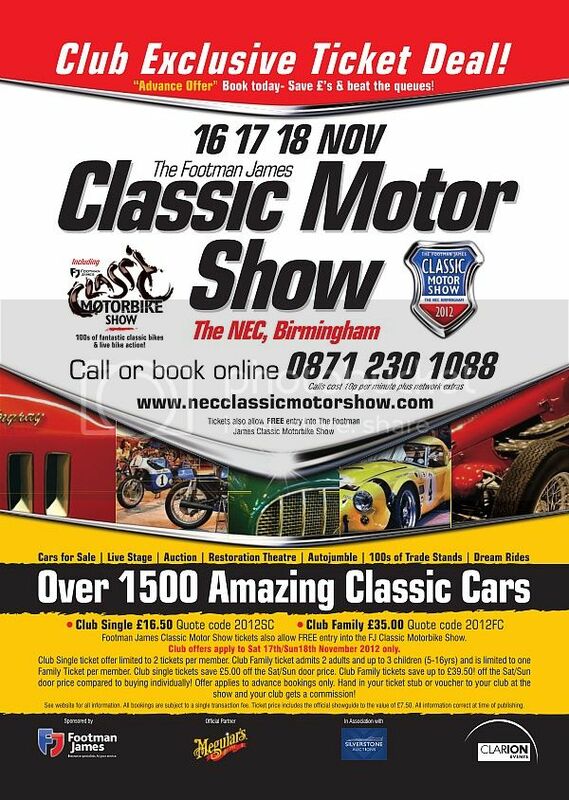 Now the best bit, the NEC are offering a club discount for entry on the Saturday and Sunday, when purchased in advance via their website or telephone hotline. Usual entry price on the door is £21.50 per person, but by quoting discount code 2012SC you can save £5.00 with tickets costing just £16.50 the offer is limited to 2 tickets per member, and includes a glossy show guide worth £7.50. Visit Le Mans 190's homepage! So how was last year's show? Very busy. A lot of the visitors were very interested in the Club and quite a few signed up as members. This is what the stand looked like, taken before the visitors arrived.